Evidence-based science explaining the real culprits of ill health and weight gain. Advice on how to read food labels. Easy recipes to replace common processed items and meal plans that show how simple it is to shop, plan and cook Real Food. Tips for lunchboxes, parties, and recipes for food kids actually like. Could someone please answer me a question? 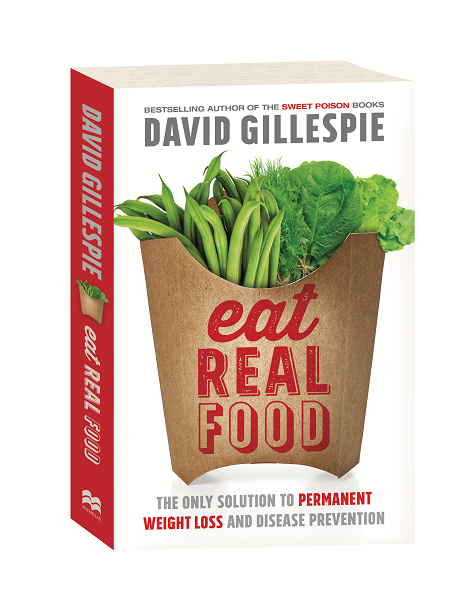 I would love to buy this book (Eat Real Food) but I can’t seem to find it as a paperback in the UK. Is it not published here yet? I read the Sweet Poison books and loved them and live by them without sugar and I never felt better in my life and I’m 52! Now I would love to read Eat Real Food and on Amazon it’s only available on Kindle which I don’t have and don’t like! Any chance you could let me know where to buy it online as a paperback for a reasonable price?